Tonight’s 31 December the world will celebrate as 2018 passes and we enter 2019. As we experience mixed feelings of both happiness and hopefulness for the coming year, and nostalgia looking back at all that happened in the past year, even Google has sent us a friendly reminder with a Doodle of two playful baby elephants partying, and waiting for the clock to strike 12 am. A Google Doodle is essentially a special version of the Google logo that appears on the homepage commemorating holidays, events, people and more. The baby elephant on the left is seen blowing balloons while the one on the right enjoys popcorn. A clock on the top is just about to hit midnight. 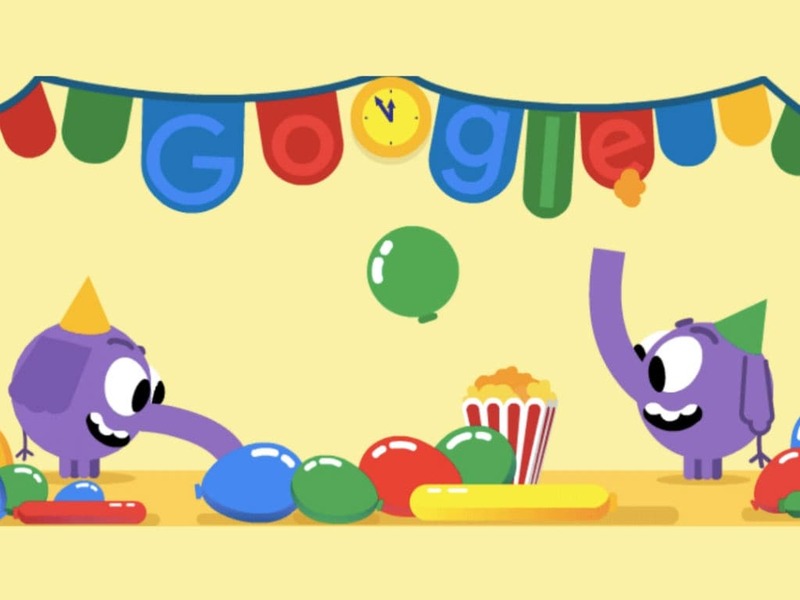 Describing the Doodle, Googl writes, "A mammoth pile of balloons? Check. A ton of party hats? Check. A herd of friends and family ready to countdown? Check. Let the New Year’s Eve festivities commence! At the stroke of midnight, it’s out with the old and in with the new. We’ll sing that song “Should old acquaintance be forgot,” but there’s no need to worry about our purple friends. Elephants never forget." To see the Google Doodle's from the past years, head here.